When was the last time you were lost—I mean, really lost? Lost in the sense that you had no paper map, no GPS, no smartphone, no tour guide, nothing to point the way to your destination. Unnerving, even frightening, wasn’t it? Even worse is to be lost with respect to eternal matters. God calls us to help lost people know His truth so that they may find His way, and Ligonier Ministries engages people every day with His Word. When you support Ligonier with a gift of any amount this month, we’ll send you my newest children’s book, The Knight’s Map. Our merciful God wants us to know we’re lost, that without Him eternal destruction is our only possible destination. If we know we’re lost, we can turn to Him and His Word for the way out of our predicament. He’s given us a map. By His grace, we can follow it to safety. God gives us His map—the truth of His inspired and inerrant Word—through human means. He uses ordinary Christians who, working together, proclaim His truth and give lost people the map of His Word so that they will find their way, or more accurately, His way. Ligonier is being used of God every day to put His map in the hands of lost people and to show believers how to understand it. We connect teachers of God’s Word to people who need His map. Friends and co-laborers in ministry like you enable us to carry out this mission online, in print, over radio, during conferences, and with other outreaches to the nations by praying for and giving to this work. Ligonier produces and distributes Bible-teaching resources to people of all ages as part of our mission. One of our newest resources is my children’s book, The Knight’s Map. The Knight’s Map is an illustrated story that shows how critical it is to have the right map if we are going to find our way. Its core message is about the sufficiency of God’s Word for showing us the right path. I believe it is useful for children and adults to bolster their confidence in the objective truth of God’s Word in a day when such confidence runs contrary to much of what our society is telling us. 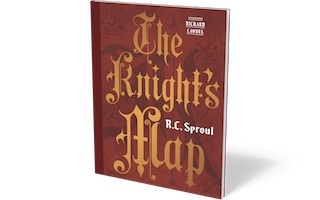 The Knight’s Map is yours for a gift of any amount to Ligonier, and your support will help us reach many more lost people with the truth of God’s Word. Can I count on your gift to assist us in giving the map of God’s truth to the lost?